Growing up is all about those big rites of passage. You know, those big moments like graduating from college or the purchase of your first home. Unfortunately, many of these rites of passage are crazy expensive and twenty-somethings might be better off skipping them. Here are the 10 big ones you should skip in your twenties to be rich in your thirties. I remember my first paycheck at my first big girl job out of college. My eyes practically fell out of my head when I got that first check. I blew through the money quickly by buying $12 “birthday cake” or “girl scout cookie” shots at fancy bars and then taking taxis back and forth across the city every time I went out. My friends and I couldn’t stay still in one bar. We were always going to the next bar in search of something or someone better. The average new graduate can easily spend thousands of dollars on going out in the first few years out of college. Don’t waste your money on something you can never get back. Choose budget bars and stop it with the taxis. Stay put! Ahh, the status symbol. Depending on your circle this can be a Louis Vuitton purse, Louboutin heels, a fancy luxury-brand watch, anything Kate Spade, etc. 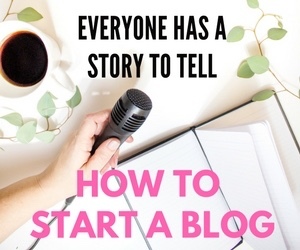 You might start making good money at your job and want to have something to show for it. Do your wallet a favor and skip the status symbol. Your real friends know who you are and don’t want you to charge $1000 on a credit card to prove it. Fancy restaurants are crazy expensive. Throw in some appetizers, a bottle of wine, and dessert and you’re looking at a $100+ night. While it can feel like a rite of passage to be able to take someone out on a fancy date, it’s not the best use of your money. Try to think of creative dates that won’t break the bank. Coffee, hiking, beer gardens and making dinner at home are much cheaper alternatives. I’ll admit it. I’m a millennial who bought a brand new car and then posted about it on Facebook. New cars depreciate like woah and you end up putting in way more money than you would think to maintain it. My car lost thousands of dollars in value the day I drove it out of the dealership parking lot. When I sold the car 15 months later, it had lost $7,000 in total value. I was also paying all-in around $750 a month to maintain the car that cost less than $30,000 total to buy. You would think I bought a BMW or something. Even though my car payment was less than $400, the gas, maintenance, car registration fees and everything else added up. Take public transportation if you have that option or buy used. OK, I hate to include this rite of passage in the list because I love my furry best friend but it’s so true. Many twenty-somethings can’t wait until they can own their own pet but pets are major budget-busters. Pets can cost hundreds up front in adoption fees, accessories like the crate and toys, food, etc. Not to mention that they grow and you have to buy all of this stuff all over again. Many landlords won’t allow pets in their rental properties, limiting your housing selection, and most apartments charge pet fees. If you don’t live near family or close friends, you have to pay for boarding when you travel. 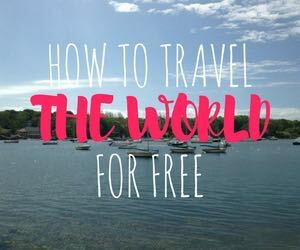 We know twenty-somethings like to travel more than previous generations so this is a major consideration. Dog walkers and doggy daycares are crazy expensive but often necessary for young professionals working full-time. Wait until you realize it costs more money for you to take your dog to the vet than for you to go to the doctors. Vet bills are through the roof. Woof! Pets are a rite of passage that twenty-somethings would be better off skipping. Twenty-somethings are less cable inclined than previous generations. We’re pretty content using services such as Netflix, Hulu, etc. The only reason we might want cable though is for access to the sports channels. I actually paid for cable for awhile back so I could get the NFL Sunday Ticket package. In a way, being able to afford cable (& the big screen TV or man cave) is a rite of passage. I have since figured out another way to get those sports channels for a tiny percentage of the cost of cable. If this sounds like you (or your significant other), look into Sling TV which is a streaming service like Netflix that lets you watch live TV. You can get cable-like service for around $20 per month and add on the sports package for $5 extra or so. You can add on HBO or Showtime for around $15 per month if you’re into that. There are no cancellation fees or paying to rent the equipment, and you can pay month-to-month. Check out Sling TV here to see what they’re all about. It feels like a rite of passage to graduate from hostels and budget vacations to luxury resorts. Everyone needs a recharge but consider choosing a closer staycation or using travel rewards to save on your vacation. Travel rewards means collecting points and miles and redeeming them for hotels or flights. My husband and I went to Europe for 10 days for free by using travel rewards. We also use Airbnb to save money on travel. In some ways, Airbnb can be cheaper than using travel rewards because you can get a place with a kitchen and eat more of your meals at home. Eating lunch, breakfast, and dinner out every day adds up, even when your flights and hotel are free. Sign up here for Airbnb here and get $40 FREE. The average engagement ring will set you back $5,000 or more. Proposing to the love of your life is a huge rite of passage that many twenty-somethings will go through. You don’t have to spend thousands though. There are alternative engagement ring options out there that are not only cheaper but conflict-free and better for the environment. I’m personally a big fan of moissanite and my engagement ring is actually a moissanite stone. It looks just like a diamond but it’s not. Learn more about my experience getting a moissanite engagement ring and why I think it’s the best option for couples. Who wants to start their new life together with a credit card bill they need to pay off? Nothing romantic about that. The average cost of a wedding in the United States is now at a staggering $26,000. It my even cost more depending on where you live. I recently got married and we managed to do it for $15,000. We could have gone even cheaper had we been willing to cut the guest list or go for a less formal affair. Trust me, you won’t regret having a budget wedding when you have that $26,000 growing in an investment account. Be strong, avoid family and societal pressures, and pocket that extra cash. Many twenty-somethings are putting money away to save for a 20% down payment on their first home. They’ve been told that all homes are good investments and that renting is just throwing money away. If they’ve read Rich Dad Poor Dad, they’d know that thinking is seriously flawed. There are homes and then there are assets. Twenty-somethings should skip buying their first home and should instead, buy their first asset. Check out Rich Dad Poor Dad: What The Rich Teach Their Kids About Money That the Poor and Middle Class Do Not! to get a better understanding of this concept. So What Should Twenty Somethings Do With Their Money Instead? If twenty-somethings skip the ten common rites of passage above, they’ll have some extra money in their wallet. In order to be rich in their thirties, they need to start saving and investing ASAP. If you have no idea what you’re doing, I recommend starting with a service like Betterment which uses algorithms based on your age, risk-level, and other factors to invest for you. You can open an account with Betterment with as little as $5. Fees are super low and it’s easy to use. Sign up here for an account with Betterment. Alternatives to Betterment include opening an account with Vanguard, Capital One, Fidelity, or companies that focus on individual investing. You should aim to have a 401(k), an IRA, and a brokerage account by age 30. 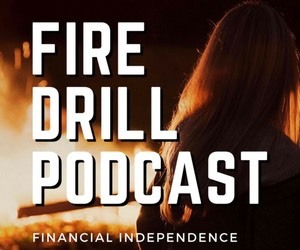 If you have no idea what those different accounts are, check out this post about Becoming a Millionaire the Boring with with 401(k)s, IRAs, and Brokerage Accounts. The first time I looked at my net worth it was admittedly a little depressing. I had over $20,000 in student loans and a car loan so my net worth was a huge negative number. Now my net worth is a healthy positive number and I find tracking it each month extremely motivating. 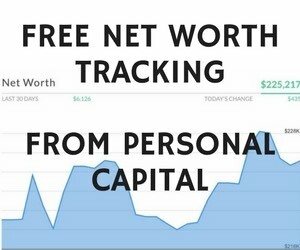 If you don’t know your net worth, check out Personal Capital which is a free app that aggregates your credit cards, savings accounts, and investment accounts in one place so you can get your total net worth. I’ve since realized that your net worth is a much better indicator of your financial health than your salary. Sign up here for Personal Capital which is free. If you have credit card debt, car loans, or student loans, don’t fret. Most of us do or did at one point. It’s important to try to pay off your debt in your twenties though. One great resource that I recommend for student loans is the company SoFi. You answer a short list of questions and then get to see if you would qualify for a lower interest rate. 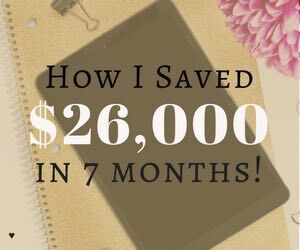 I personally paid a 6.8% interest rate on my student loans because I didn’t know that I was able to refinance into a lower rate easily. If you think that it will take more than 6 months to pay off your student loans, it may be a good idea to refinance them. Click here to take the SoFi questionnaire. 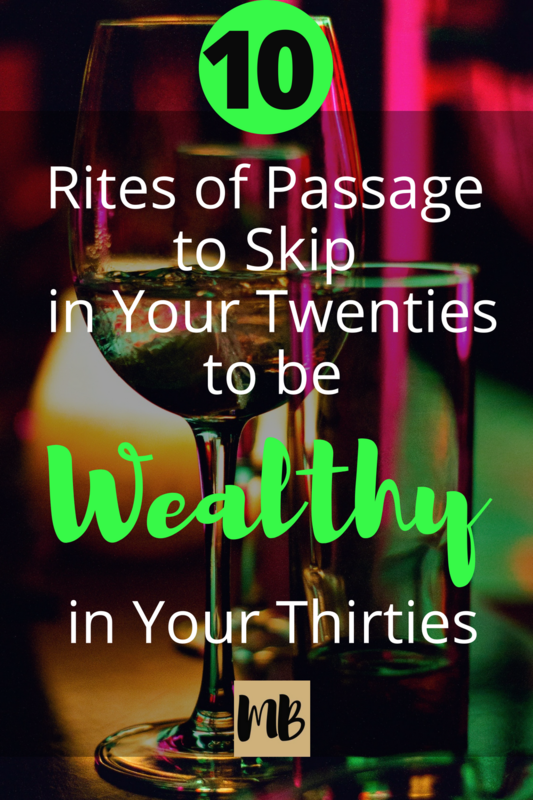 What rites of passage do you think twenty-somethings should skip or not skip? Fantastic post. I wish I would have read some of this stuff 10 years ago. I would add one more to the list that cost me thousands. 11. Thinking you are too good for roommates. So true!! Ah I’m mad I skipped it. Many 20somethings move to the expensive studio apartment too early. So much YES to this! I’m only half way through my 20s and none of these money-drains appeal to me, but I can see how so many people fall into the trap of suddenly having a decent paying job so they want to spend, spend, spend! Yup! You only hit baller status if you keep it not spend it! Love this – so true! Thankfully I lived at home and bought a rental property but I’m still working towards that financial independence. We got this! woot woot! Didn’t realize you had a rental property too. That’s awesome!